Department store chain Kohl's on Wednesday announced that Apple Pay users can now pay with a Kohl's Charge card and earn Yes2You Rewards points at the same, making it the first Apple Pay retailer to combine store card payments and rewards in a single-tap transaction. About 250 Kohl's stores currently support the option, which should be available in all locations by the end of the month, the company said. The system will work automatically so long as a person has both their Charge and Yes2You cards linked to Apple Pay. 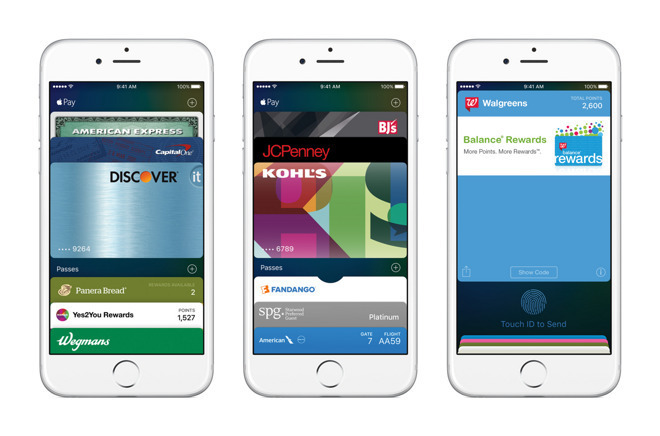 In October 2015, Kohl's became the first retailer to have an Apple Pay-enabled store card. Since then, in fact, only one other chain has come onboard in this respect, though JCPenney may follow suit. Merchant support in general has become the weakest link for Apple Pay in the U.S. While virtually every bank of note in the country is participating, many retailers aren't accepting payments. Several that have promised support for months or years —like Anthropologie, Marriott, and Forever 21 —still haven't made the transition. Apple has promised that more major chains such as Au Bon Pain and Chick-fil-A will add support later this year.